THE BLEACHER BRIEFINGS: Are the Angels Now the Yankees of the West? Are the Angels Now the Yankees of the West? A year ago, the Los Angeles Angels (or are they back to being the Anaheim Angels, or the Los Angeles Angels of Anaheim? I get confused) rocked the baseball world when they signed the most coveted free agent on the market in Albert Pujols. 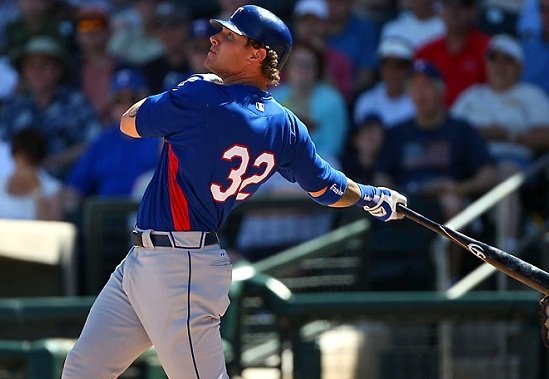 Thursday, they did it again, when they landed this year's hottest commodity, Josh Hamilton. Who do these guys think they are, the Yankees? In case you're scoring at home, that's well over $300 million the Angels have committed to two players in the last two years alone. I thought we were in a recession? I'm really glad that luxury tax is working to prevent teams from overspending, Major League Baseball. The scary thing is, these two contracts may look like chicken feed when the time comes to renegotiate with this year's Rookie of the Year and MVP runner-up, Mike Trout. When that happens, these Angels will need divine intervention just to make payroll. I don't know if the signing of Hamilton qualifies as a good investment or reckless spending. Owner Arte Moreno probably felt compelled in some way to keep up with the Joneses, or more specifically, the Dodgers, who signed Zack Greinke, along with many others free agents this offseason. But investing $125 million over five years for someone with Hamilton's checkered past of drug use and history of injuries is certainly questionable. Even with Hamilton's former team, the Texas Rangers, assigning a personal guardian to watch over him, he still slipped up -- and that was in Arlington. Can you imagine what the lure of Hollywood could do to the him? You also have to look at how Hamilton finished the season last year. Many fingers were pointed his way when the Rangers blew a 5-game divisional lead with just 9 games to play. Over the course of that final week, his hitting and fielding were flat out atrocious. He looked like he had either completely quit on the team, was exhausted and couldn't play at a high level, or maybe, as I feared while watching those games, his inner demons were back again. So needless to say, this is a risky acquisition. On the bright side, with guys like Pujols and Trout in the clubhouse, there won't be the pressure on Hamilton to carry as much of the offensive load as in previous years, and hopefully with some of that stress reduced, his vices will stay away. Plus, when Hamilton is on, he might just be better than the other two superstars on the team. In his six years with the Rangers, he only managed 500 at-bats three times. But in those seasons, he never hit fewer than 30 homers or drove in less than 100 runs. He was both the American League regular season and ALCS MVP, won three Silver Slugger Awards, and a batting title to boot. So there is no denying the talent is there. Now the only question is, can Hamilton survive the 'Bright Lights, Big City' lifestyle in Los Angeles? No way I would have spent that kind of money on a guy who they'll probably end up finding dead at the team hotel in the not so distant future because he od'd on something. Angels now have the best outfield in baseball. Bar none. You're a dumbass anonymous. A lot of people that suffer through substance abuse have relapses from time to time. That doesn't mean they all end up dead. Hamilton is a great player. Real good signing by the Angels.